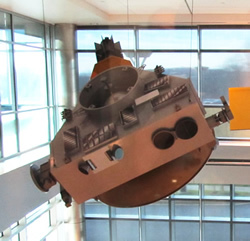 A model of New Horizons hangs in the lobby of the new Space Department building at the Johns Hopkins Applied Physics Laboratory in Laurel, Maryland. Click here to see more photos of the model. Today – as we mark the sixth anniversary of our launch from Cape Canaveral Air Force Station, Florida, on January 19, 2006 – New Horizons remains healthy and on course, now more than 22 times as far from the Sun as the Earth is. Even as we enter Late Cruise, I can already feel the pace of activities picking up. As you read this, New Horizons is awake and being put through various test activities during a record-length, monthlong January hibernation wakeup, and all is going well. When this wakeup ends, we’ll cruise in hibernation through February, March and April while planning an intensive two-month wakeup that will span May and June. The highlight of this summer’s wakeup will be a “24 hour” near-encounter rehearsal, during which we’ll execute a (nearly) daylong segment of our Pluto encounter sequence on the spacecraft. During this test – our first in-flight encounter rehearsal – New Horizons will make every maneuver, every scan and every observation that it actually will do around closest approach in 2015. Following that rehearsal, recorded engineering and science data will be played back to Earth and be used to search for even the tiniest discrepancies from plan. In addition to the rehearsal, we’ll check out every system (and its backup) on New Horizons; check out each of the seven scientific instruments; collect more science data than we have in any previous wakeup; and update the software for our primary spacecraft command and control computer, removing a bug that occasionally causes it to reset. As if that’s not enough, we’ll also uplink almost two-dozen improvements to our onboard autonomous fault detection and automatic response software, many of which are necessary to begin encounter-sequence testing and to carry out the encounter itself. All of these activities need to go well to put us in good shape for a complete, nine-day encounter rehearsal in 2013. New Horizons has traveled more than 2.24 billion miles (3.61 billion kilometers). The operations team has carried out 122 beacon contacts, checking in on the signal a hibernating New Horizons sends back to indicate its health. New Horizons' thrusters have fired 501,109 times. Also this summer, planetary scientists on and collaborating with the New Horizons team will use a wide variety of telescopes to intensively probe the space between Pluto and Charon for possible satellites, rings and other kinds of debris structures. And while the science team is looking for Pluto system hazards, our spacecraft engineering team, under the leadership of Chris Hersman from the Johns Hopkins Applied Physics Laboratory, will begin to work through some 260-plus malfunction and contingency scenarios that we’ve identified as possible “gotchas” at Pluto. For each scenario, the team will prepare and test automatic onboard or ground-control responses. And our mission operations (“mission ops”) team, led by Alice Bowman at APL, will complete plans for the two weeks of flight that surround either side of our nine-day-long closest approach sequence at Pluto. Working with our Pluto Encounter Planning team, led by Deputy Project Scientist Leslie Young at Southwest Research Institute, the mission ops group will also prioritize and then write command sequences that create the almost-yearlong data playback that will occur after the encounter concludes in late summer 2015. The data New Horizons sends back — maps, spectra, plasma data, radio science and more — will provide a detailed view of Pluto and its system of moons. 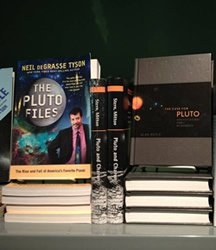 Our knowledge of Pluto will literally expand from a single fact sheet’s worth of information, to textbook-length tomes. 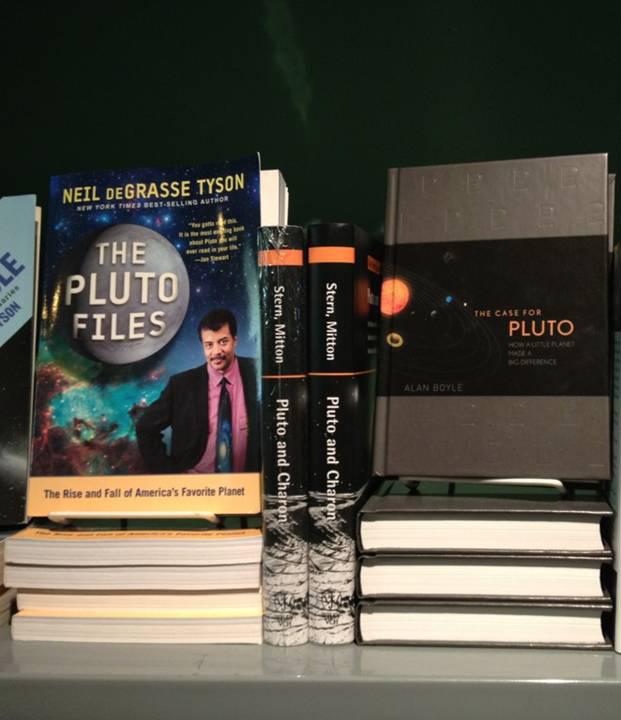 New Horizons will revolutionize our knowledge of the Pluto system and make every book about it today obsolete. When we started this journey in January 2006, the nearly decade-long cruise to the Pluto system seemed daunting indeed. But with six years behind us, and only three years to go, we on New Horizons are actually worried about how little time we have to complete all that's left to do! After all, starting this year and carrying through 2013, 2014 and 2015, the pace of activity will continue to accelerate! Soon, we'll actually be hiring new staff to help us take on much of that work. Time flies, and so does New Horizons! Well, that's my update for now. Thanks again for following our journey across the deep ocean of space, to a truly new frontier. I hope you'll keep on exploring — just as we do!